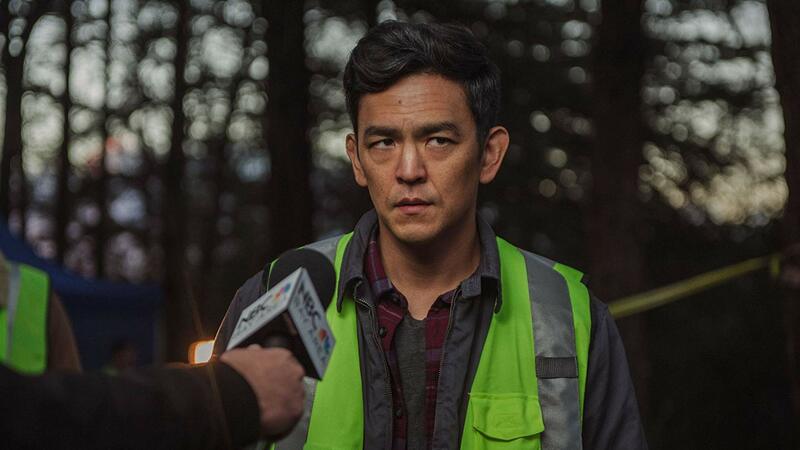 Searching is a family film, just not one in the traditional sense. As it reflects the growing anonymity of the internet age and how the web’s pervasive, intrusive presence continues to document our lives without our permission, the movie critiques the virtual reality we allow ourselves to live within. In Searching, tech and intrigue are the saviors, providing answers and options at the click of a cursor, but none of it can operate without having the human touch to be turned on in the first place. Not only is it important that the movie begins with a laptop booting up and being lit, it’s a sign that there is a human component to this film, and that it’s the power in command. It takes place entirely on screens not because it’s a gimmicky device, but because it’s the method so many of us choose to absorb the world through. The film trains our eyes to see things digitally. 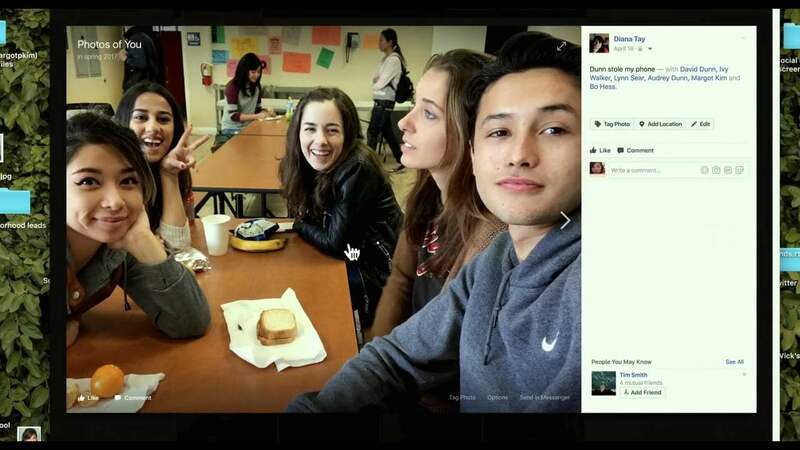 Margot (Michelle La) says that she’s at a study group with friends. 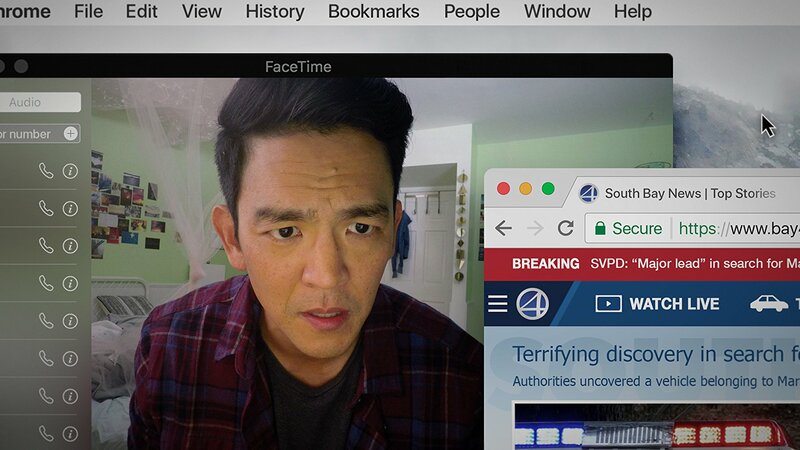 It’s gonna’ go late, she tells her dad David (John Cho) in a brief FaceTime call. Cut to next morning and David assumes she got in after hours and left for school before he could even have his coffee and toast. But the trash can is still full – a chore he harped on his daughter to complete – and the unreplied texts and straight to voicemail calls renders this widowed father paranoid. Time goes by. No response, no word from Margot. The only clues to her sudden disappearance are in the online world she created for herself, likely out of loneliness and mourning for her late mother. David tries to find answers in the web his daughter has spun online, and he’s taken aback by the strength of the lies. Debra Messing rounds out the cast as a detective with suspicious motives. Turns out Margot was a loner. Study groups only invited her because she was smart. Posts on social media platforms were seen by few eyeballs, if any at all. The great sadness of Searching can be found here. A father thinks he knows his child. She apparently thinks he knows nothing about her. The lack of honest, unguarded, intimate communication takes its toll. That’s the trouble with the internet. The crushing weight of loneliness only becomes amplified when you broadcast yourself to millions of possible viewers and are rejected, or maybe even worse, go unnoticed altogether. Searching would make for a great double billing with this year’s Eighth Grade, showing from vastly different genres how the online world shapes our consciousness, affects our actions, invokes a desperate longing for connection, and limits our ability to convey unfiltered emotions. Even though I loved its opening, wasting little time and developing a deeply effective family tragedy in the same vein as Up’s opening minutes, the deeper it begins to go, the more I disliked Searching. There’s an ambitious, intriguing ambiguity early on in the film that unfortunately turns into a tell-all towards the end. The more we know – especially with how the obvious twist tries to mask itself – the less interesting the movie becomes. I imagine the message is to assert how parents are willing to sacrifice and to love their children unconditionally, at times to a fault, and how easy it is to disguise yourself in a landscape coded by 0’s and 1’s. 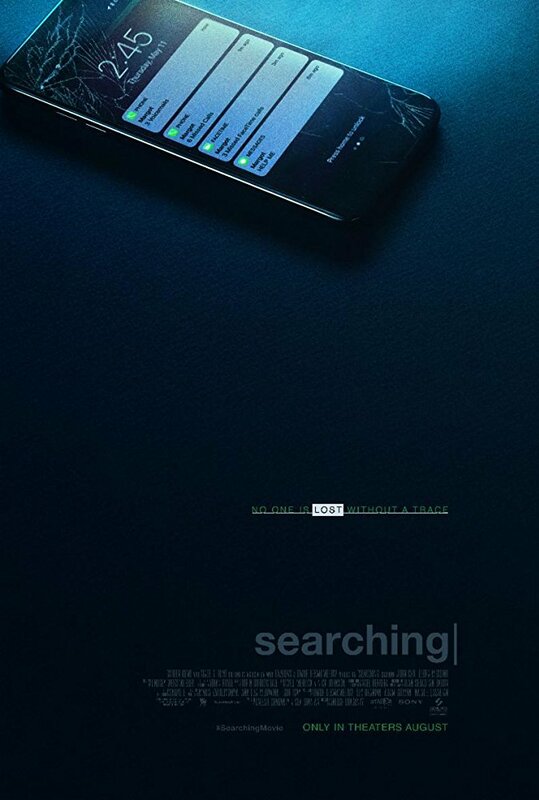 Unsettling but never chilling, Searching is an excellently crafted thriller that disappointingly settles for a conventional narrative which never lives up to its otherwise unorthodox methods, and it mistakenly answers every one of our questions when it’d have been more powerful if our text receipt had been left on read.